Hull weight (approx.) 1400 lbs. Fresh water capacity 20 gals. 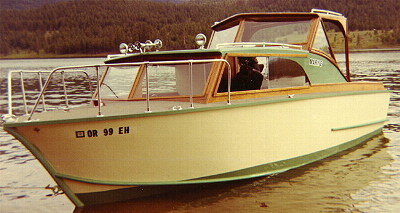 Hull type: Vee bottom, hard chine plywood double diagonal bottom, sheet plywood sides. Power: Single centrally located inboard motor.